"LEXINGTON, VA – This October, Devils Backbone Brewing Company will release new seasonal beers from three different series. The next Trail Blazer brew will be Kilt Flasher, a hearty Scottish ale with a rich, warming complexity perfect for the onset of winter. The exclusive, draft-only Peak series release will be Tectonic Barleywine, a complex, well matured ale meant to be savored with each sip. And there will also be a new Adventure Pack sampler full of beers previously only available on draft at the Basecamp Brewpub & Meadows (Roseland, VA): Flor de Luna, Smokehouse Porter, Berliner Weiss, and Single Hop IPA. Craft beer drinkers will have the perfect beer for any adventure with this versatile mix of releases. Brown with ruby highlights, Kilt Flasher is an ale packed with toffee and toasted malt flavors. Much like the early Scottish settlers of the Virginia Highlands, it has a robustness that stands up to anything. Enjoy a pint today and expose yourself to great beer. Brown, Robust, Toffee. Our Trail Blazers stray from the beaten path into a world of robust and daring beers featuring bigger, bolder flavors for fueling your spirit of adventure. We build the flavors for our complex English inspired barleywine using six imported malts and two diverse hops. Savory, Full, Rewarding. When you blaze a trail up a mountain, your goal is to reach the peak. We did the same with the Peak Series, our brewer’s selections that combine intensity, adventurous flavors and special brewing techniques to reach the pinnacle of the brewers’ art. A Belgian-style blonde ale with the spritely fruity and flowery aroma of jasmine. Bright, floral, lively. Two types of smoked malts layer on top of dark crystal, brown, and chocolate malt to create a smoky, toasty, rich black ale. Smoke, roast, toast. An award winning German-style sour ale. Pale straw in color, with a light body and a tart refreshing acidity. Light, tart, zip. Light in color and body, this strong pale ale was designed to have a clean malt profile to showcase the single hop variety used: Equinox. Pale, hoppy, lean. These releases are available throughout the Devils Backbone distribution footprint of Virginia, District of Columbia, Maryland, North Carolina, Tennessee, and West Virginia. Devils Backbone beers are inspired by the great brewing traditions of Europe and the ingenuity of modern craft brewing. 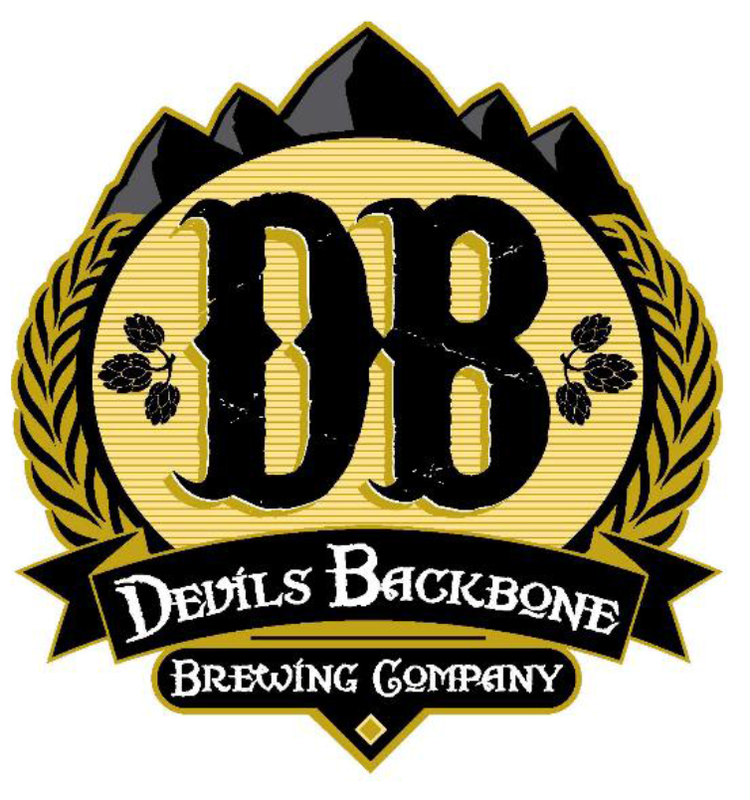 Devils Backbone has earned numerous accolades for its beers, exceling in the art of lager brewing in an ale dominated industry. The brewing team has received medals from the World Beer Cup, Australian International Beer Awards, Virginia Craft Brewers Fest and the Great American Beer Festival® including national titles for GABF 2014 Mid-Sized Brewing Company and Brew Team of the Year, 2013 Small Brewing Company and Small Brewing Company Brewer of the Year and 2012 Small Brewpub and Small Brewpub Brewer of the Year. Devils Backbone operates two breweries in central Virginia: Basecamp Brewpub & Meadows (200 Mosbys Run, Roseland, VA) the original brewery, restaurant and the Meadows, the new outdoor beer and dining area, located at the foot of the Blue Ridge Mountains in scenic Nelson County; and the Outpost Brewery & Tap Room, a state-of-the-art production brewery and tap room (50 North Wind Lane, Lexington, VA). For more information, please visit.dbbrewingcompany.com. You can also follow along as they Craft an Adventure #CraftAnAdventure on Facebook/devilsbackbonebrewingcompany, Twitter @dbbrewingco and Instagram @devilsbackbonebrewingcompany."